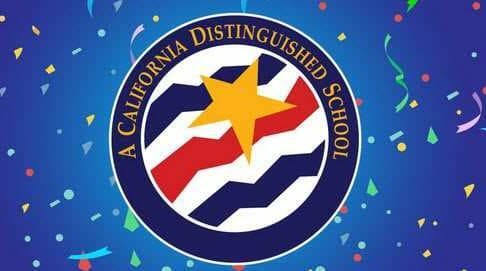 This year, Lynbrook is the only public school in Santa Clara County, besides Monta Vista High School, to be honored under the 2019 California Distinguished Schools (DS) Program. In 2018, the California Department of Education (CDE) counted more than 2,500 comprehensive high schools and middle schools in California. Out of these schools, Lynbrook was one of the 162 that were selected to be awarded. From 2015 to 2017 the program was paused while California changed the system of accountability used to assess schools. Before this transition, Lynbrook has been honored continually under the DS Program over the span of more than two decades; the most recent year being 2013. The DS Program is one of a group of CDE programs that recognizes proficiency and excellence in schools across California. Other programs include California Exemplary Districts and California Teachers of the Year. In 2019, school eligibility for the DS Program was determined by the new system of assessment and accountability implemented in 2018. Whereas the former accountability and assessment system focused heavily on standardized test scores, this new system considers an overview of the current performance of schools as well, and improvement over time.. The California School Dashboard website provides simple reports on schools using color indicators which describe every school’s performance in areas such as mathematics, English Language Arts and graduation rates. Each indicator is a six-color spectrum, with red designated as the lowest performance, followed by orange, yellow, green, and finally blue for the highest level of performance. According to the website, in 2018, Lynbrook was 141.8 points above California standards in mathematics, 142.8 points above standards in English Language Arts and had a 96.7 percent graduation rate. This puts Lynbrook at a green in English Language Arts and mathematics, and a blue in graduation rate. In order to be eligible for the DS program, schools must hold a minimum of green in most areas. If eligible, middle and high schools must apply to be considered for recognition from the DS Program. All middle and high schools in California were informed about the 2019 DS Program on Jan. 24, and eligible schools that wanted to be honored were required to submit their applications online by Feb. 11. Part of the application requested basic information from applying schools such as administration names and their contact information, funding and certifications. A considerable portion focused on demographics and school statistics. These included the percent of student enrollment in programs and the number and working hours of different campus staff such as librarians, nurses and counselors. Another part of the application allowed schools to highlight their Model Programs and Practices, which include exemplary activities and projects that have been developed that could be implemented by other schools. Lynbrook decided to focus on the areas of STEM and Career Technical Education (CTE). For both areas, the function and implementation of Lynbrook’s programs were described, as well as their awards and accomplishments. In describing the implementation, the relationship between clubs and classes was stressed, as well as how the programs promoted skills such as collaboration, character, and creative and critical thinking. For Lynbrook’s STEM program, the STEM research class and the different resources available for Lynbrook student research in and out of classes was explained in the application. 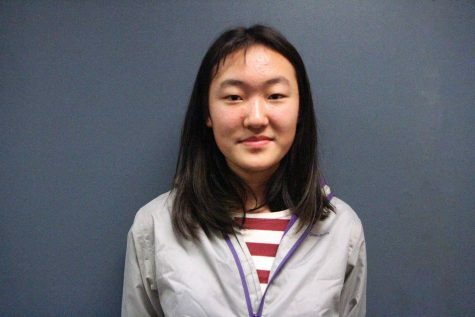 Lynbrook had an unprecedented amount of Regeneron Science Talent Search winners. Since 2010, 8 students were selected finalists, and 38 considered semi-finalists. Also included was the importance of WiSTEM (Women in STEM), Robotics, JETS, and other science clubs in providing yet more opportunities for students to explore their interests. As for Lynbrook’s CTE business program, some of the outstanding aspects highlighted were the strong pathways between different classes and how the business clubs, DECA and FBLA, supported these classes by giving students opportunities to apply their learning. DECA and FBLA have both performed well in competitions over the past years. The business program is still working to further improve students’ opportunities by providing accounting certification testing and possibly expanding business classes to cover topics like marketing. Though the DS award highlights Lynbrook’s rigorous and excellent academics, they are by no means the only defining aspect of Lynbrook. Lynbrook embraces the thoughtful behavior of its students and tries to nurture it with programs like the STTAR tutoring program, in which students volunteer to help others to achieve their academic potential, and most recently homeroom, which tries to encourage reciprocity between teachers and students, so the community can be more empathetic with each other. The Lynbrook community is special in its many unique students with great values and work ethics, and teachers at the core trying to inspire and nurture them. All schools honored under CDE programs will be officially awarded on April 5 at a ceremony in the Disneyland Hotel at Anaheim. This prestigious award commends Lynbrook’s outstanding academic programs and is a symbol of trust that Lynbrook will continue improving its education while addressing the needs of its students.